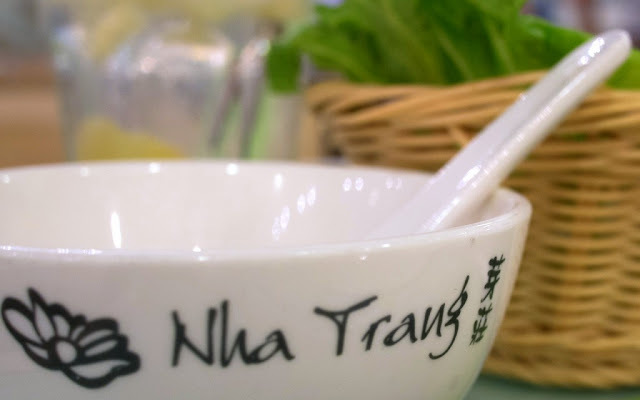 I first got into Vietnamese food in a really big way - and I mean consuming-copious-amount-of-pho-on-a-weekly basis-for-a-year kind of a big way - in, of all places, Honolulu, Hawaii. That's because it was the only authentic Asian fix I could get in the Aloha State, which is ironic for a bunch of islands most noted for its high ethnically Asian-originated population. However, a whole lot of their current Chinese and even Japanese restaurants have been watered down throughout the generations, and they've also rather unfortunately adapted to Western tastes to the point that the cuisine is not really all that recognizable anymore. Familiar, sort of. Authentic, not so much. But for some reason, to my very rudimentary knowledge at the time, Vietnamese food in Honolulu was still pretty much left as they were. And hence, my first real education in northern and southern Viet cuisine, with their liberal use of shallots, fresh vegetables, clear broths, and more herbs that I can possibly name, began. and other ingredients wrapped up and dipped in nuoc cham or peanut sauce. 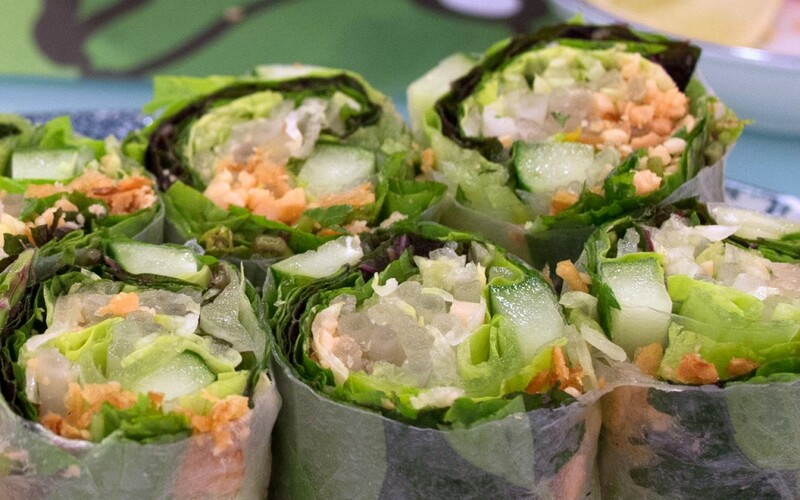 Super healthier alternative to their deep-fried cousins: the spring roll. 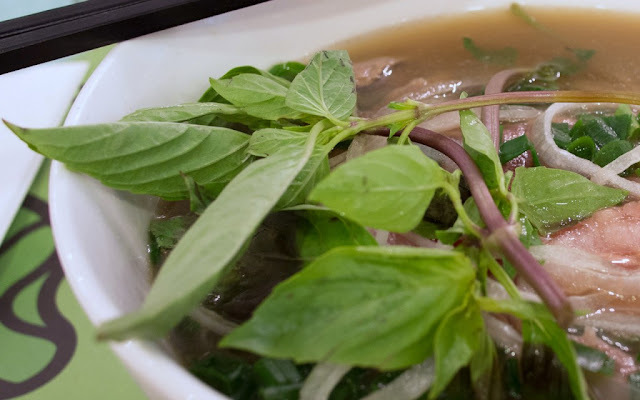 Pho with shaved-thin slices of medium rare beef. ﻿﻿I've since found another of its outlets a bit closer to home in Wanchai. Like its sister restaurant in Central, this one fills up fast. I mean, the place opens at noon, and there was already a long line of hungry pho-philes outside, with me right in the mix. Now, aside from the pho (and if you're not a beef-eater, your loss,) there's a fine selection of wraps and crepes to sample. 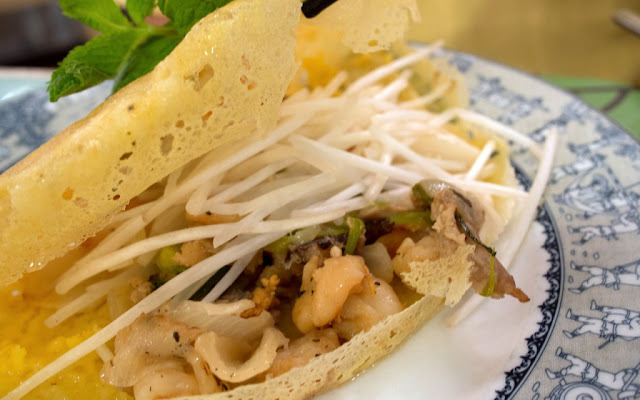 I'm particularly partial to banh xeo which are crepes made from rice flour batter with a touch of coconut milk and curry, and filled with pork, shrimp, bean sprouts and, again, a whole lot of fresh herbs. 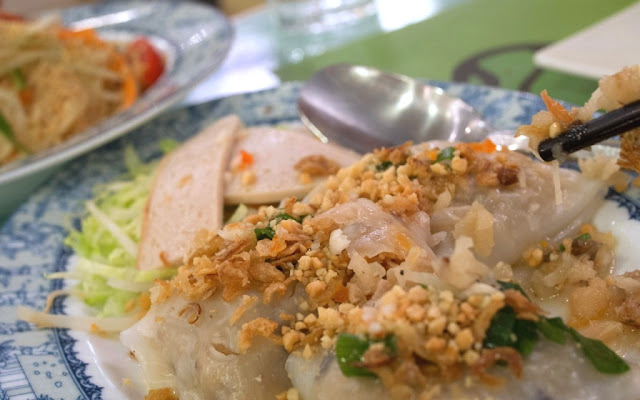 Banh cuon: not for those with peanut or shrimp allergies.